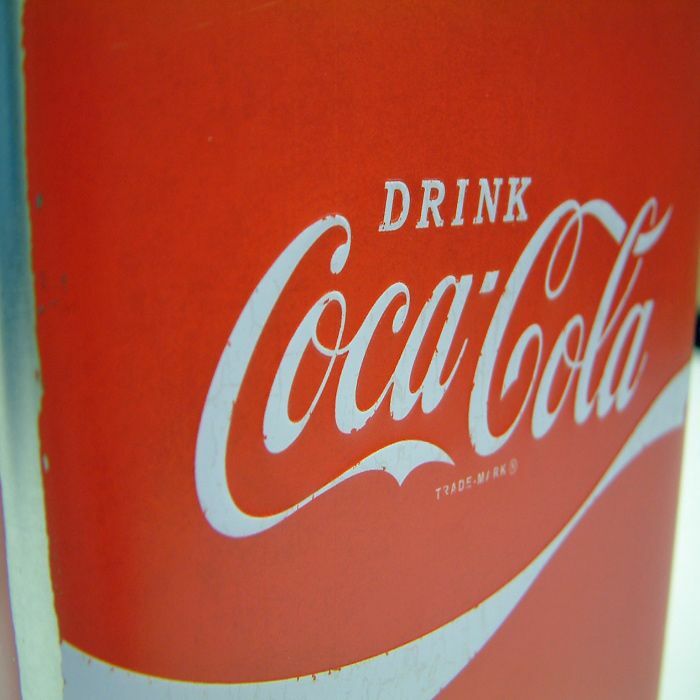 Classic licensed Coca Cola image on this Food Safe Metal Storage Tin. 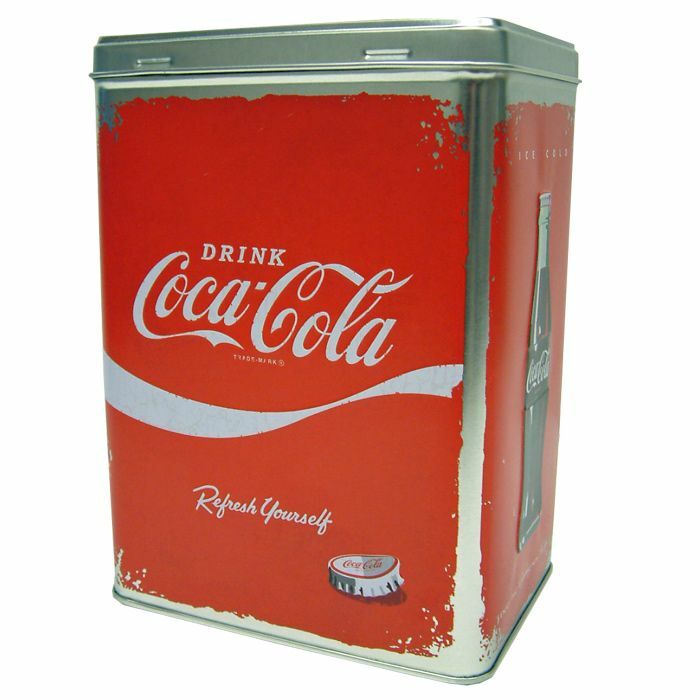 Made of Sturdy Sheet Metal, with a protective lacquer coating. 4Litre Capacity. Key Text and Pictures on the Lid are in raised embossed metalwork. Size : 14cm long by 10cm depth by 20cm high. 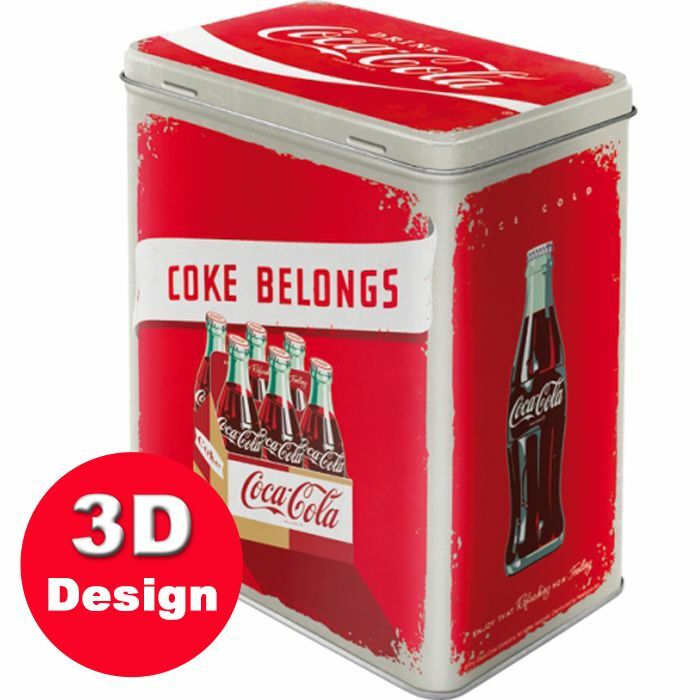 Store your kitchen / office bits and bobs in this great retro looking Coca Cola storage tin. Made of sheet metal and printed with this retro design. Key text and images are embossed giving this tin a great look and tactile feel. Size : 14cm long by 10cm depth by 20cm high.